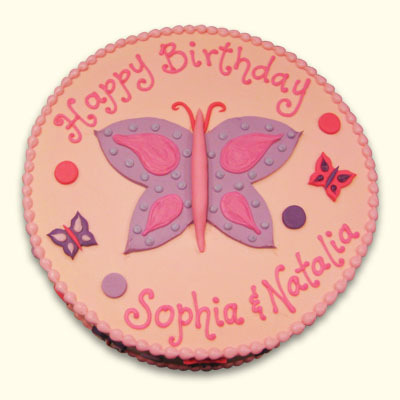 Celebrate any occasion with this wonderlicous cake. 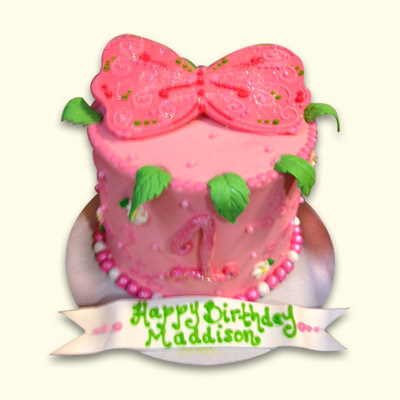 Elegantly covered with pink buttercreme, glittering pink fondant number one and butterfly wings. Personalize with our whimsical banner to make the guest of honor even more special. 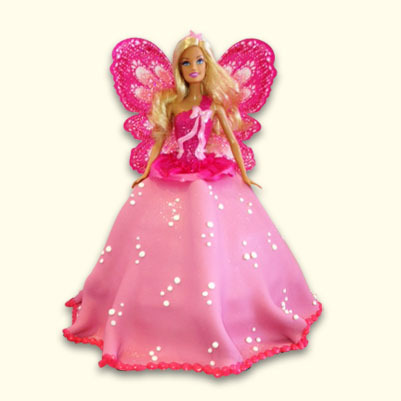 Choose any color to match your event. Serves 2-8 guests.